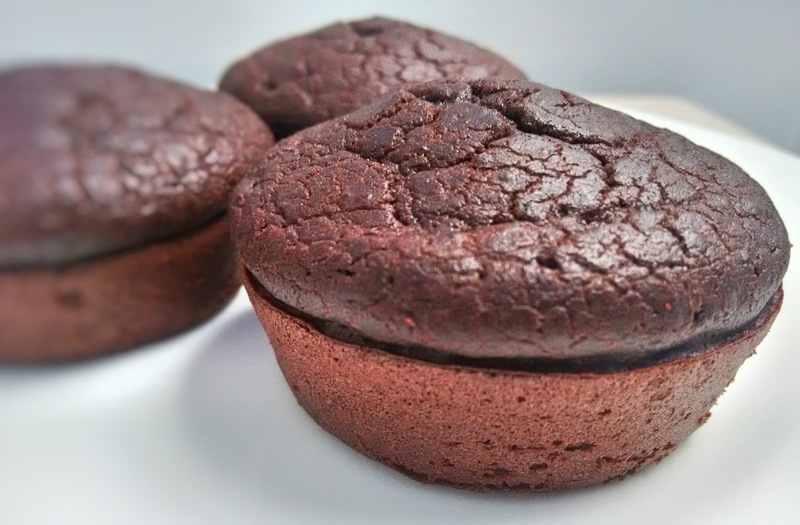 These muffins are high in protein and fibre due to the black beans in them, which will help keep you full. They make a great on the go snack. I kept the added sugars minimal, so they are not very sweet...more like a dark chocolate flavour (it should be noted that I love 90% dark chocolate, so the not-so-sweet thing doesn't bother me!). If you prefer more sweetness, you can increase the brown sugar to 1/2 cup, or add 2 tbsp of pure maple syrup. If you like, you can add 1/4 cup of brewed coffee in place of the water to give these a mocha flavour. I mixed the batter in the food processor, just because it was the easiest way to mix these. The batter comes out fluffy and cake-like. Preheat oven to 325°F. Grease a muffin pan with canola oil spray. In a food processor or blender, place all of the ingredients, then blend until smooth. Scoop batter into muffin pan evenly. Bake for 18 minutes, or until muffin tops are firm. Remove from pan and cool on a cooling rack.